I do not understand how the benchmark results vary so widely, from hundreds to millions of hashes per second? Which software os the fastest? Different algorithms – different performance. Yup… Anyone that is expecting these to be profitable to mine with will be disappointed. 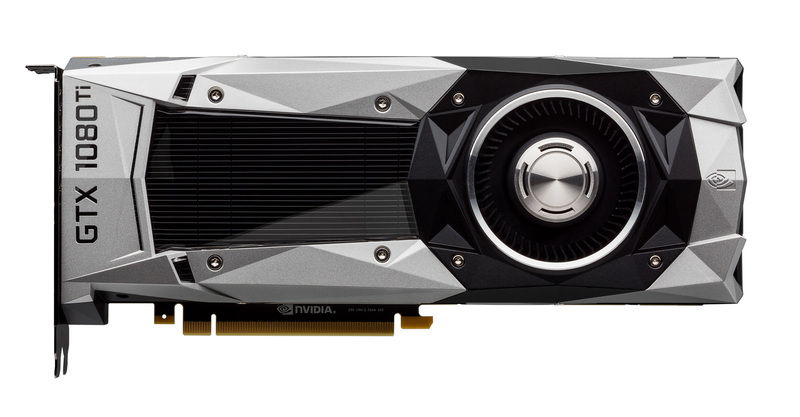 GDDR5 X puts it in the same boat as the 1080, which is also a bad value proposition. Great for gaming, terrible for mining. It’ll be very interesting to see what those 1060s with faster memory pull off. Looking forward to CMB getting their hands on one. Hey, where i can download this benchmark tool? I’m mining XMR, using ccMiner, and only getting approx 1k harshrate per gtx1080 (SC). I have 2 of these things. claymore with bytecoin was worse. ALL THROUGH the minerGate pool. thanks for any insight, aas well as time. Roman, you are actually getting exactly what you should be for mining XMR. Both XMR and Bytecoin are based on the CryptoNight algorithm, which was designed to be mined only by CPU. Accordingly, they benefit from very low memory latency and high memory speeds. It may not be worth it to mine these algorithms with your card. I am achieving much better payout with my 1080 TI by mining EquiHash, Lyra2rev2 and lbry algorithms. I am averaging around .0038 BTC per day with one card on these. You know i read these comments and i have these cards and it doesn’t add up. first i have evga 1080ti ftw 4 cards i get 680-690 sol/s at 200-215 watts per card and am running at total system watts just around 1000w using a corsair ax1200i. Yes i could get 700+ sol/s but i don’t beat my cards to death for an extra dollar, my highest temp being 59-60c.fans set to 50% power to 75% mem to +600 and gpu set to +135 i use an external fan to help cause they are easy to replace. the chart above seems to be 10-30% lower than it should be, is it cause its a founders? You know i just don’t get it. Maybe cause of driver updates? Which coins you recommend to mine using GT1080TI? How can u do this? 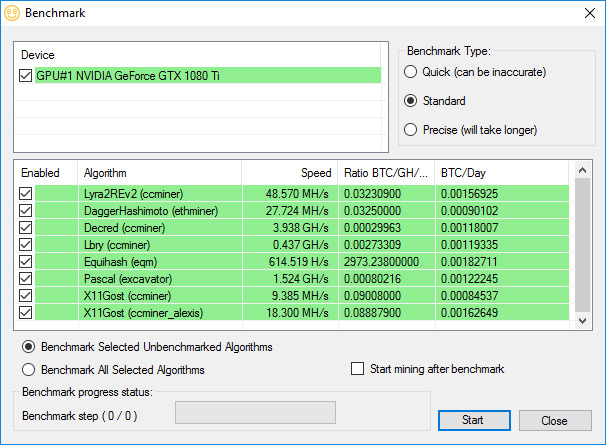 I get 45 MH/s on a 1080 for lyra2v2 (at stock no OC). Buying two 1080 for the same price of one 1080 ti it would mine 90 MH/s vs base 48 MH/s or 60 MH/s shown on the post for OC. IMO 1080 Ti is not worth it if these stats are correct.